Between the 19th and the 25th of May is National Spinal Health WeekTM, an initiative from the Chiropractors' Association of Australia (CAA). The theme for this year's Spinal Health Week is Live Better – We’ve got your back. The idea is for us to Feel Better, Play Better and Live Better. Think back to the 1980’s when Olivia Newton-John was encouraging us to Get Physical. Children born in this decade had a life expectancy of 71 for males and 78 for females. Fast forward to 2014 and our lifespans have extended dramatically. Some might be suprised to learn that a male child born today can expect to live to 79.9 and a female 84.3. Unfortunately though, as our lifespans have increased, the getting physical message failed, sixty-three per cent of Australians are obese and that figure is still on the rise. As the Commonwealth Health Minister, Hon Peter Dutton said in March, “Fully a third of Australia’s burden of disease is due to lifestyle health risks such as poor diet, obesity, physical inactivity, smoking and alcohol misuse”. This is the paradox, we are living longer, but we are not living better. For many of us, a longer life is not enough, we want to be active, healthy and capable of enjoying those extra years. Improving our postural fitness and looking after our spine is an important part of designing a longer, healthier lifespan. 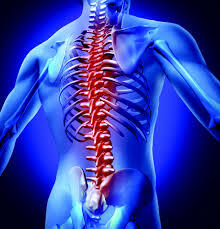 Chiropractic offers a drug free, surgery free way to effectively manage back pain. Contact one of our CAA member Chiropractors today for an examination and to discuss ways to improve your postural health and fitness.